Here’s an interesting fact: the idea that we’d one day see driverless cars on the road dates back as far as 1939 when General Motors unveiled a self-driving auto blueprint at its Futurama exhibit at the World’s Fair in New York. And while this trailblazing innovation has been nearly eight decades in the making, driverless cars are expected to unleash a global paradigm shift and unimaginable benefits to humanity—from helping to save lives, to decreasing traffic congestion—to even boosting our productivity. Consider, for example, that the average American spends 101 minutes a day driving or 37,935 hours over a lifetime, according to Harvard Health Watch. That’s a lot of time for meeting pre-reads, Netflix binging, and catching up on shuteye. This shift is already creating new local and global investment opportunities, from companies pioneering new software technologies to those building innovative hardware. There’s little question it’s been an evolutionary period for the industry. Lexus, BMW, Google, Apple, and Uber, as well as stalwarts like Ford and GM, are all jumping on the bandwagon and developing new autonomous driving technologies. And while fully-driverless tech is still in the advanced testing stage, by 2040, it’s estimated that annual global sales of self-driving cars will be 33 million, according to automotive analysts at IHS Markit. At AGF, we’re most intrigued by the global opportunities created by these novel technologies and the new suppliers that make self-driving cars possible. We’re also looking at how driverless vehicles will transform the world around us. After all, Henry Ford’s Model T or “Tin Lizzie” didn’t just replace the carriage. It revolutionized manufacturing, and even how we lived and travelled—ushering in a new world of motels, suburban shopping malls, and drive-in theatres. And while the combination of artificial intelligence (AI), computer processing power and the Internet of Things has enabled self-driving cars, complex networks of new technologies involving sensors and cameras are allowing them to navigate roadways while reading multiple data points, all under constantly changing driving conditions. Meanwhile, even vehicle interiors are being reimagined, emphasizing comfort and flexibility like pivoting seats, while adding more options in in-car entertainment. However, at the moment our investment strategy is focused on a few key pieces of enabling technology such as cloud computing, data storage, vision, LIDAR, mapping and connectivity. Vision technologies include driver assistance systems that help prevent imminent accidents by processing visual information. A related area is LIDAR – Light Detection and Ranging. LIDAR is a surveying method that measures distance to a target by illuminating the target with pulsed laser light and measuring the reflected pulses with a sensor. Mapping is another critical piece of the autonomous driving puzzle. Detailed high-definition maps are required for autonomous vehicles to get around safely. Inside the vehicle, powerful computing platforms make sense of all of the sensor data to figure out the safest path in real time. 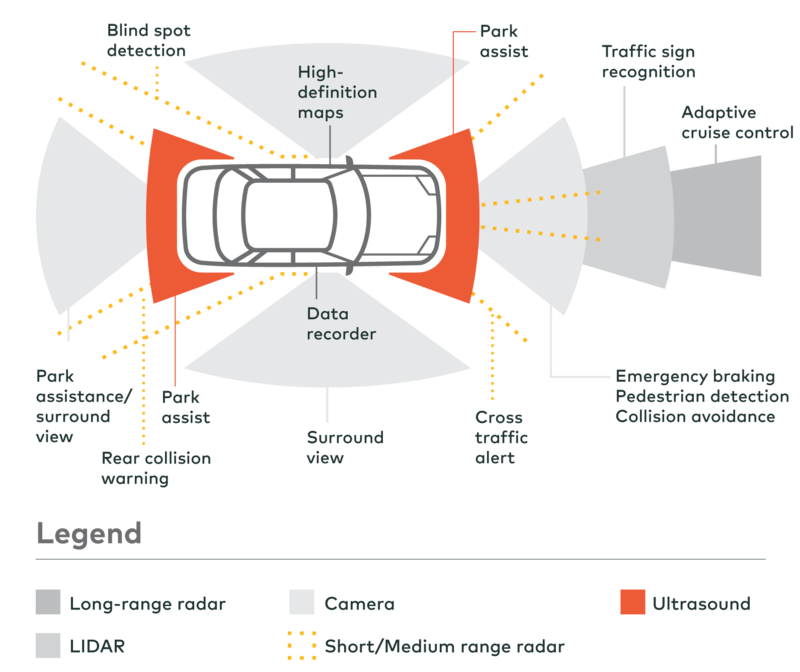 Each autonomous car will need a “data recorder,” similar to a plane’s--“black box”-- that will record information about its sensors and systems for at least 30 seconds before a collision, necessitating a range of high speed memory and storage. The social impact of driverless vehicles will likely resemble—if not surpass—the arrival of Ford’s creation in 1908 and the advent of mass car culture. In a self-driving world, for example, there will likely be fewer fatalities related to drunk driving and fewer speeding tickets, spurring municipalities to consider new sources of revenue. Suburban sprawl will likely also spread. Ride hailing companies like Uber and Lyft may choose to provide tiers of service—limos on a night out, for example, versus an SUV on a skiing trip. No one expects this to happen overnight. In fact, it may take decades before the impact of driverless vehicles and its accompanying social, economic and business prospects are fully realized. Yet the opportunities for investors are already burgeoning. And we believe disciplined investors are well positioned to benefit from this new era, once just a dream, a drawing presented at GM’s Futurama exhibit all those years ago. Commentaries contained herein are provided as a general source of information based on information available as of October 5, 2018 and should not be considered as personal investment advice or an offer or solicitation to buy and/or sell securities. Every effort has been made to ensure accuracy in these commentaries at the time of publication; however, accuracy cannot be guaranteed. Market conditions may change and the manager accepts no responsibility for individual investment decisions arising from the use of or reliance on the information contained herein. Investors are expected to obtain professional investment advice. How will the adoption of intelligent automation reinvent the workforce?